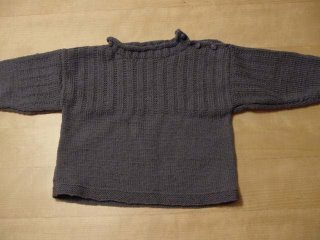 It's made with Anny Blatt Baby Blatt yarn. The pattern was from a newly revised Debbie Bliss book. 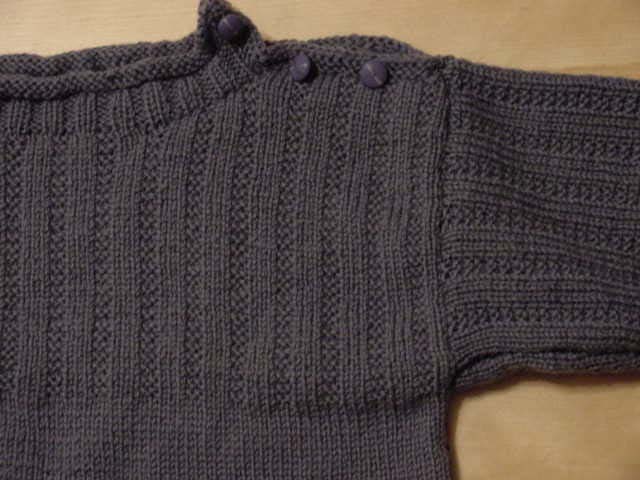 Here's a close-up of the ribbed yoke with the buttons. The ribbed yoke was fun to do and I really like the way it looks. I like it so much, in fact, that I copied the pattern for the socks I started in Austin. So anyway, I finally got it done and on its way to its recipient. That's one (little) thing I've gotten accomplished lately. Now I just need to turn my attention to some bigger things.